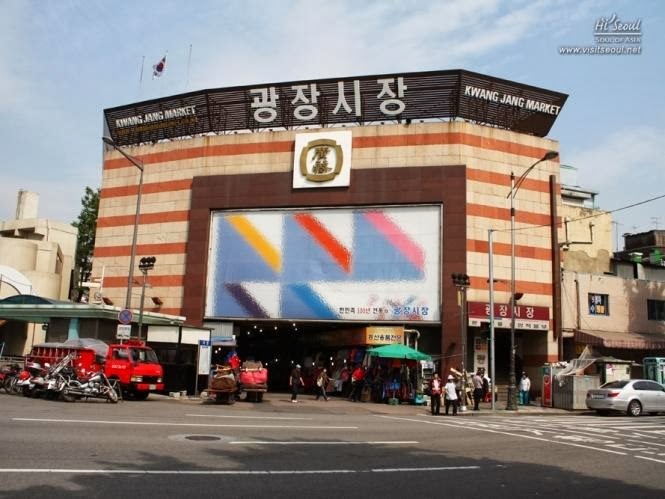 Located in the heart of Seoul’s Jogno, Gwangjang Market is one of Korea’s largest traditional markets as well as Korea’s oldest market with over 100 years of history. Up until the late 1800's, Korean markets functioned as temporary markets, only standing for a few days at a time. In 1905, Gwangjang Market became the first permanently established market that was open every day. It was created with the purpose of reclaiming Korean sovereignty during the period of Japanese occupation. The original building burned down in 1950 and was reconstructed in 1959 as the current three story building. Each floor specializes in different goods; The first floor is dedicated to the foodies offering a diverse array of street food. The second floor has vintage clothing and other goods at bargain prices. 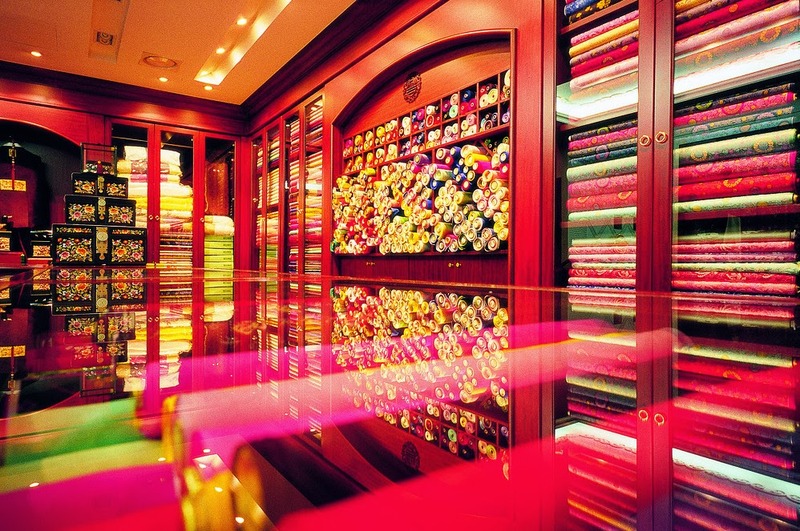 The top level carries a variety of high quality silk and fabrics. In fact, a majority of merchants from Namdaemun and Dongdaemun work with Gwangjang Market vendors for their fine-quality textiles. For anyone interested in fashion, Gwangjang Market is a must visit. The market is especially popular among young people for its unique vintage clothing and accessories. Retail items include t-shirts, jeans, leather goods and bags which are mainly imported from the US, Japan, and Europe. The market offers a diverse variety of clothing and goods which makes it such an interesting and fun experience. Shoppers can find international designer labels as well as unusual, unique vintage clothing at one convenient location. Smart shoppers with a good eye are able to get high quality goods or even luxury labels at bargain prices. 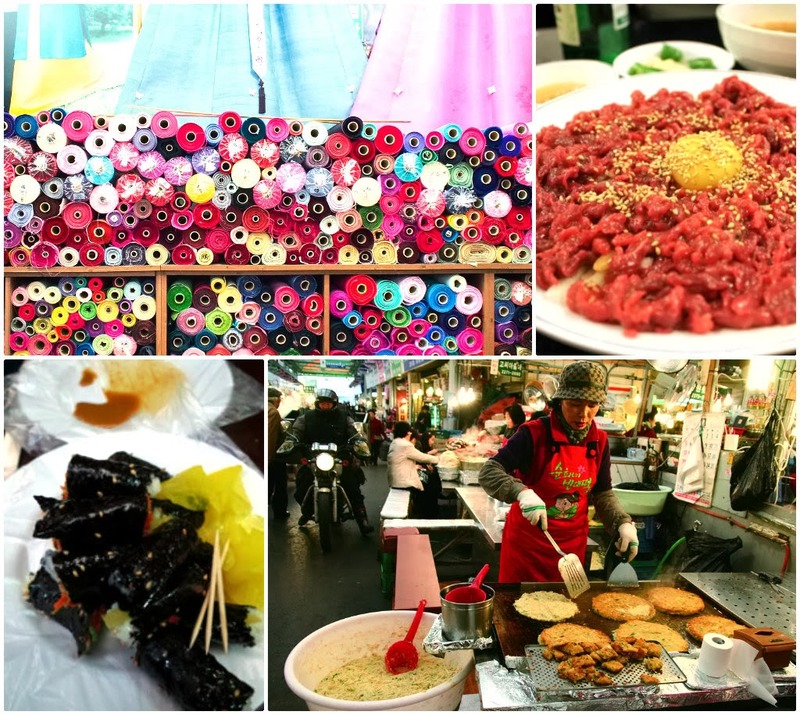 Gwangjang Market still thrives today as a popular location for quality silk goods, fabric, hanboks, vintage clothing and its diversity of street foods. The rich culture and history of Gwangjang Market is an experience you shouldn't miss when in Seoul. 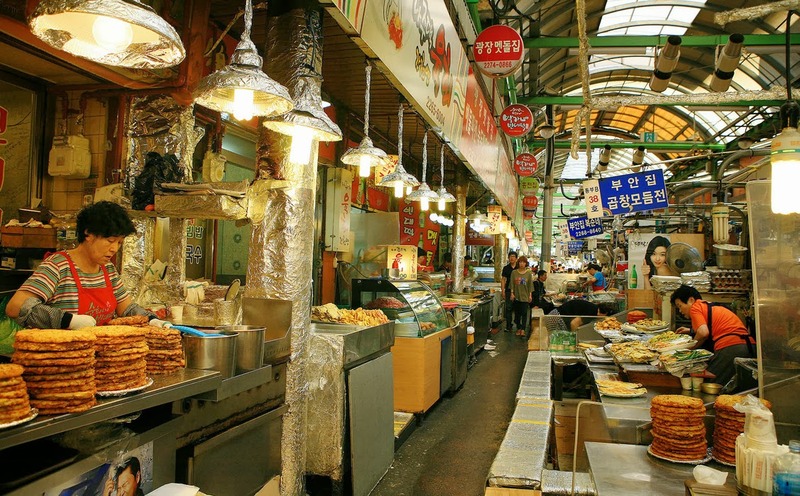 Visit this charming traditional market for the authentic Korean experience! Directions: A five-minute walk across from Jongro 5-ga Station (line 5) exit 8.